Flood insurance exclusions threaten to sink government scheme: but who will pay to fix them? I have said right from the start of the debate about the new flood insurance scheme that the exclusions from Flood Re would come back to haunt it. There are too many, they have been poorly explained and are thin on justification. The barrage of criticism that is now threatening to overwhelm Flood Re has proved me right. • Properties in Council Tax bands H and I: an exclusion driven by DEFRA in order to make Flood Re progressive but is social engineering a proper role for insurance? Also, there is an element of unfairness in asking people to pay the cross-subsidy to fund Flood Re without having access to the cover it offers. • Houses built after 2009: this is derived from the date when the old Statement of Principles was renewed and takes no account of whether properties are built on flood plains or in low risk areas or are flood resilient. It feels very arbitrary and unfair on people who bought those properties in good faith and now might not be able to get flood insurance. Better to start with a clean sheet and use up-to-date flood maps to identify the most at risk new builds. This would sit well alongside the new powers being talked of to prevent inappropriate development on flood plains. • Mixed use properties: pubs, B&Bs and so on where people live on the premises should be included because they are not like other small businesses that are on short leases and can move relatively easily. • Leasehold properties and the private rented sector: these are genuinely tricky areas as there will be vulnerable households in those very diverse sectors and some proper analysis is needed of the extent of this problem. I am pretty certain that the huge numbers of properties likely to be affected put out by the British Property Federation are a huge over-estimate, not least because they include blocks of flats which, by definition, contain many households on higher floors and therefore not vulnerable (landlords should be responsible for insuring and protecting common areas). Fine to include small businesses but who will pay? So, back to small businesses. In principle, there is no reason why a government-backed insurance scheme shouldn’t be extended to cover them. However, it is government-backed, not government funded so the question of who pays must be answered by those pressing this case: they seem to be silent when pressed on this point. They need to provide some answers if they are to escape the obvious accusation of wanting something for nothing. 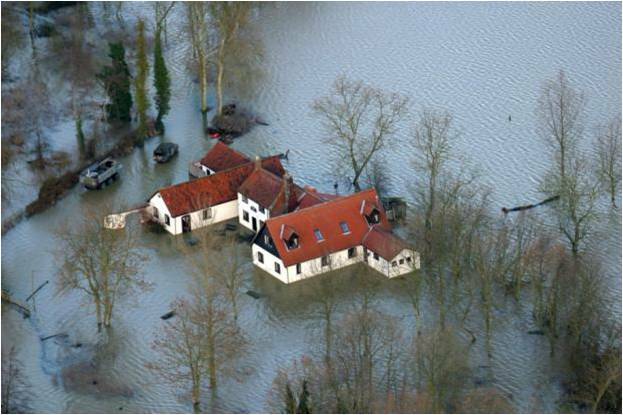 Flood Re will be funded through a cross-subsidy with low risk households paying around 2.3% (£10.50 on average) to build up a fund to enable subsidised cover to be made available to high risk households. I can’t see any case for increasing that cross-subsidy on households to provide cover to business premises in high risk areas. Therefore, we need to look at the options for businesses cross-subsidising each other. All businesses could be asked to pay a levy to cross-subsidise cover for at risk small businesses. This would spread the burden but would mean that businesses above the threshold definition of ‘”small” would not have access to cover they were subsidising, rather like the band H houses. At the boundaries of that threshold there would be adjacent businesses occupying identical sized units but with different turnovers, one with access to Flood Re, the other denied access – an awkward anomaly. The alternative is only to ask firms that fall within the definition of “small” to pay the cross-subsidy. I can’t see this being popular among firms that are always complaining about extra costs, administrative burdens and what they see as unnecessary taxes. These are not issues that are going to go away now they have been thrown into sharp relief by the appalling weather of the last three months. Answers and clarity are urgently required.